If you’re planning to buy a miter saw but feel overwhelmed by the vast selection available on the market, then this article is for you. We’ve researched and tested all the best selling options on the market, and compared their features, prices and customer reviews. As a result, we’ve come down to three of the best miter saws for the homeowner, and we’re sure you’ll be able to find the best option for your needs. Miter saws will help you tremendously in all your DIY projects; you’ll be able to make precise and accurate cuts without any hassle. Let’s first touch on some important buying considerations. There are a few things you should consider when choosing a miter saw. Firstly, you have to decide on the blade size. 10-inch blades are more affordable and help you save on electricity, while the 12-inch blades are required for thicker materials and longer cuts. On the other hand, you can also choose between a sliding miter saw, perfect for those who want to adjust the width of their cuts, and compound saws which allow you to cut in many different angles. Once you’ve established your specific requirements and preferences, choosing a right miter saw for your home will be an easy task. Without further delay, lets get into the best miter saws for homeowners currently on the market. The exceptional quality of the DEWALT DW715 miter saw and hundreds of positive reviews make this model the top choice for any homeowner. It comes at an affordable price and offers a significant number of features, which makes it a winner amongst just about every other miter saw on the market. If the power of the motor is your priority when choosing a miter saw, you’ll absolutely love this model. The 15 amp motor puts out 4000 RPM, which will be more than enough for the typical homeowner. Furthermore, this miter saw provides 100% accuracy due to the exceptional build quality and precise miter systems. The bevel capacity on the left ranges from 0 to 48 degrees, and from 0 to 3 degrees on the right. That makes it very easy to adjust the angle to suit your needs. Comes assembled so you can use it right out of the box. Fence and gauges are high quality and easy to adjust. Best-selling product with thousands of satisfied users. Excellent choice for both beginners and advanced users. As with most miter saws, the dust collection system may not suffice for larger jobs. 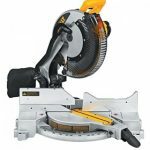 The Dewalt DW715 is our absolute favorite among all miter saws, and we think it stands the best chance of going above and beyond your needs. DEWALT is a reputable company, for years delivering only high-end products, and this miter saw is no exception; it showcases an exceptional attention to detail and outstanding production quality. The Hitachi C10FCG is a common choice for newbies, as it is easy to use and very affordable. That doesn’t mean, however, that it lacks in quality. Like all Hitachi products, it is constructed with durable materials and will last you a long time. 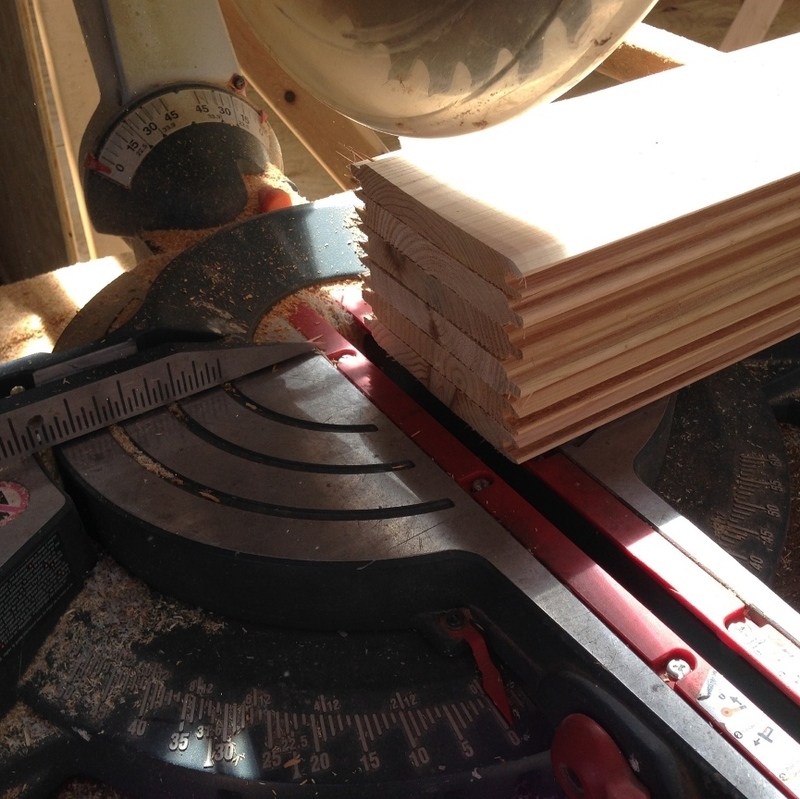 More advanced users report that they were surprised by the professional look and performance of this miter saw, which can be compared to much more expensive options. The first feature we’d like to point out is the 0-45 bevel range of this miter saw that allows accurate cuts and quick adjustments. It is by far the lightest miter saw we found, so it is a top choice for those who plan to move their saw frequently. The 15 amp motor efficiently handles both easy and more demanding projects. You can get this miter saw with or without a convenient stand. A wide range of features helps newbies achieve accurate cuts. Dust collection can’t compare to other product on this list. Laser marker is a bit dim and not visible in some angles. If you’re looking for your first miter saw, then this model from Hitachi is an excellent choice. On the other hand, advanced users who are looking for a miter saw they can easily move to different locations will also benefit from choosing the C10FCG. All in all, even though it may not be the best choice for professionals, we believe this model will be a great addition to any homeowner’s tool supply. The GCM12SD is a high-quality model from Bosch, designed for those looking for an affordable miter saw with double-bevel functionality and a high standard of quality. The attention to detail is outstanding, and you’ll notice the innovative features of this saw as soon as you employ it for the first time. The primary feature of this miter saw is the Axial-Glide system, which allows you to have complete control and achieve smooth cuts. Furthermore, the quick release square lock fences enable precise and straightforward material alignment, greatly reducing the need to adjust your work table for different tasks. 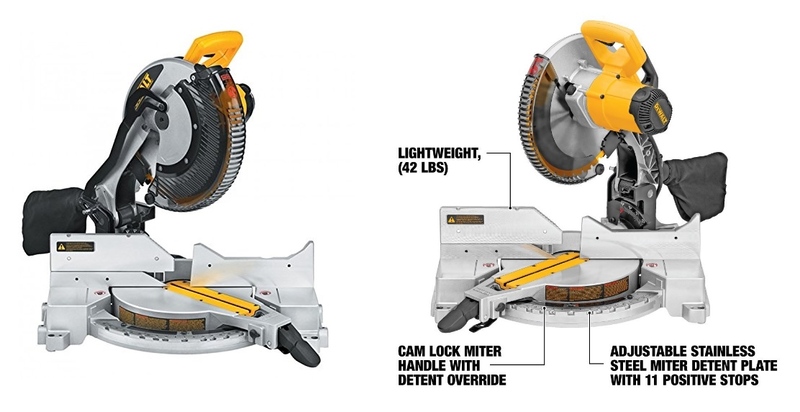 The GCM12SD is powered by a strong 15 amp motor and is compatible with a wide variety of 12-inch blades. That makes it an excellent choice for a wide array of applications, and you won’t need additional equipment even for very demanding projects. The GCM12SD miter saw is available for purchase with or without an accompanying stand. A wide number of applications. High precision and flawless cuts. Heavier than other products on the list. 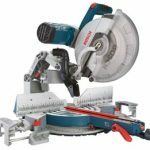 The Bosch GMC12SD miter saw is a terrific saw, and we would recommend it to anyone who is searching for an affordable option adaptable to different tasks. 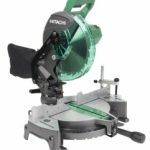 However, if you plan to move it frequently, we believe the other miter saws on this list (particularly the Hitachi C10FCG) would be a better choice for you. Out of all miter saws for homeowners, we would rate the below model (click the button below) as the best choice on the market. We believe it rightfully earned this title because of its exceptional build quality, performance, affordability as well as the huge number of positive customer reviews. With that said, if you’re looking for the lightest saw, then Hitachi C10FCG will surely do the job, while the Bosch GCM12SD is perfect for those who need longer, customizable cuts. Of course, there are other great miter saws out there, but we feel that these three have a slight edge and deserve to be on this list. We seriously doubt that you’ll regret opting for one of them. Best of luck shopping for your miter saw! Thanks for reading this guide. Be sure to share this page using the buttons below. 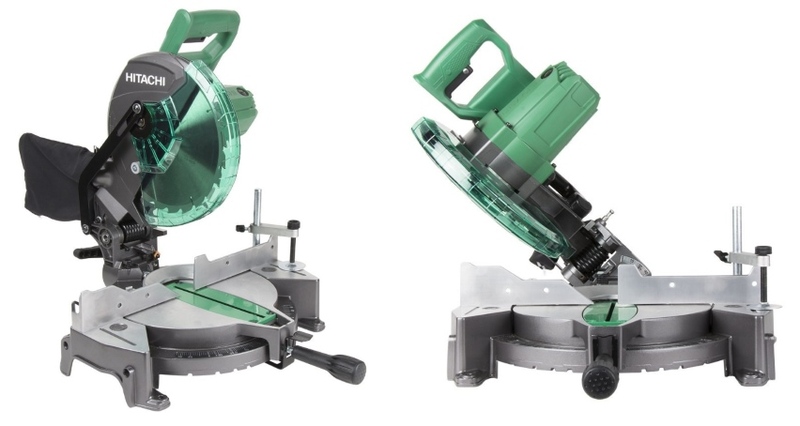 You can also check out some of our buying guides for table saws and bandsaws. I’m looking for a new miter saw for my home shop, I’ve had one for the past 10 years that I think is due for a changeout. i’ve heard the DEWALT DW715 mentioned a ton, as well as the Bosch GCM12SD. The DW715 seems like the perfect mid-range saw, so I guess it’s not surprising that it’s so popular. I am willing to pay a bit more for quality — have you tested this model, and what do you think about it? Hey Bill, I actually have tested that model, and it nearly made the list. It’s definitely one of the best miter saws in the mid-high price range. It’s extremely accurate right out of the box, and the cut is easy, nice and deep as well as long. It’s quiet, powerful and can give you a terrific useful life. On top of that, I find their customer service to be very good, so in the event there’s an issue, you should be able to get it solved without hassle. The included blade is pretty good, but if you want flawless cuts, you might consider upgrading to another. Also, the dust bag is on the small side and doesn’t do the best job collecting, but it’s decent enough. I hope this helps. Thanks for visiting the site. as someone who has used the DEWALT DW715 for over a year now, I just wanted to pop in and say that it’s a fantastic miter saw. It’s never failed me in any of my home DIY jobs.